When you think of holiday cookies, you might picture a batch of sugar cookies that is decorated with layers of icing and sparkling sanding sugar. Elaborately decorated cookies can be fun to make and to serve, but they’re not the only type of holiday cookie out there. TheseÂ Soft Maple Spice Cookies are a simpler cookie that still captures some of those delicious holiday flavors, but requires no special decorating to dress them up before they are served. As an added bonus, these are slice-and-bake cookies, which mean you can prepare the dough ahead of time and store it in your freezer until you are ready to bake them up. The cookies are made with brown sugar, honey and maple syrup. 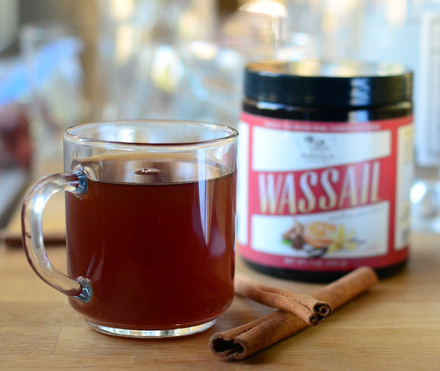 Unlike a traditional gingerbread cookie, where powerful molasses can dominate some of the other flavors,Â this trio of sweeteners gives the cookies a lot of flavor while blending together nicely. The cookies are seasoned with plenty of the same spices found in other holiday spice cookies, including cinnamon, ginger, nutmeg and black pepper. They’re soft and chewy, with wonderful flavors that will pair well with any holiday beverages you might be serving along side a freshly baked batch. 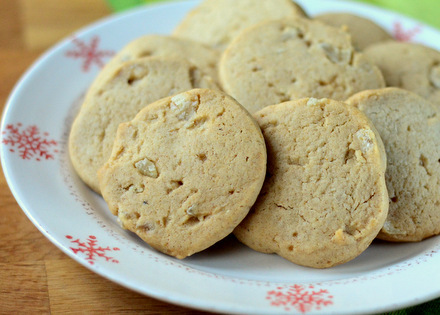 For holiday cookies, these are relatively simple and that is a nice change of pace when you’ve been eating more complicated cookies all season long! 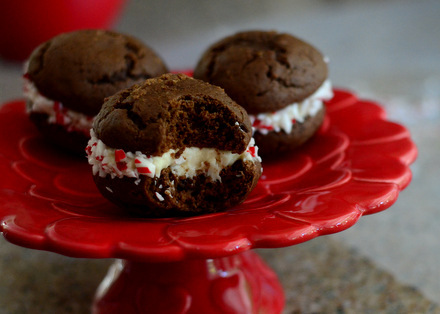 Â A simpler cookie also means that you have the option to dress these up or down, as needed. To “dress them up,” you can drizzle a simple icing made with milk and confectioners’ sugar over the top, or roll the logs of dough in colorful sprinkles before baking. You can even dip half of each cookie in melted white or dark chocolate to make them especially indulgent. Even plain, there is no wrong way to eat these and they’re a great cookie to have in your collection during the holidays. In a medium bowl, whisk together flour, baking soda, salt and spices. In a small, microwave-safe bowl, melt butter. In a large bowl, whisk together melted butter, brown sugar, honey, maple syrup and vanilla extract. Stir in flour mixture until the dough comes together. Shape dough into a log about 2-inches thick and wrap in wax paper and chill for at least 1 hour (dough can also be frozen). Slice cookies into 1/4-inch thick rounds and arrange on prepared baking sheet. Bake for 10-12 minutes, until cookies are just set and have a hint of color around the edges. Allow to cool on the baking sheet for 2-3 minutes, then transfer to a wire tack to cool completely.